Classic rock revival, traumatic brain injury, Joan Shenton, HPV documentary, JFK files nothing burger, eye health, Doc Nuzum, OrganiGreens, ramen noodle slurping and MORE! 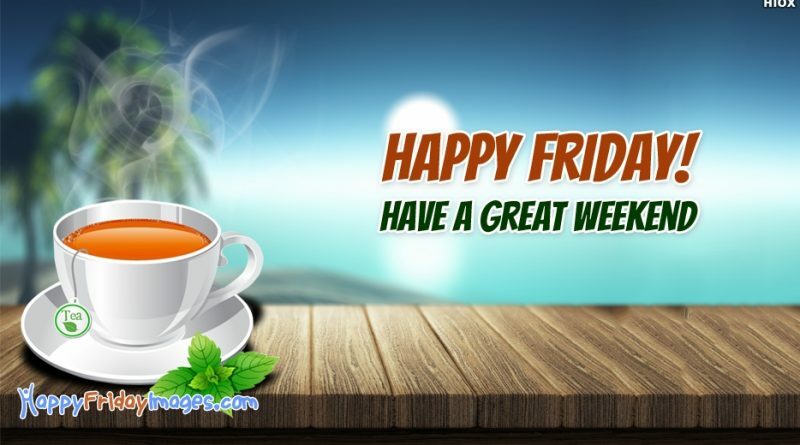 Hour 1 – It’s The Weekend! What better way to rock into the weekend than with some Led Zeppelin, right? Well here’s a twist. 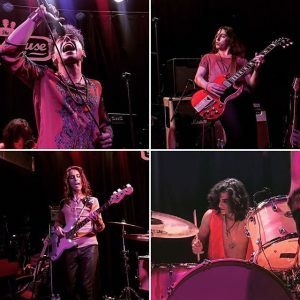 That isn’t Led Zeppelin you’re hearing – it’s a new band of young guys called Greta van Fleet who are all the buzz right now. Is classic rock making a comeback? One can only hope! The band members are Josh Kiszka, Jake Kiszka, Sam Kiszka, and Danny Wagner. In April 2017, the band released their debut studio EP, Black Smoke Rising. The debut single, “Highway Tune“, topped the Billboard US Mainstream Rock and Active Rock Rock stations in September 2017. I love your podcast and the gift of knowledge that you and your guests provide. I do have a girlfriend that had a traumatic brain injury 6 years ago and suffers severely. She now understands that there is another way of healing beside the path her doctors have had her on with drugs and NO hope of anything better. On top of her migraines that can last for a week, the years of drugs has put her body into complete chaos. (thyroid, hormone and weight issues). She is trying to manage this on her own but, it is just too big and needs guidance. So, in your “pool of friends”, is there someone(s) that you could recommend that would be best suited for her situation? You and your team are the best and there are no words for how thankful I am for the truth you are spreading! 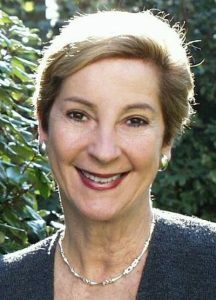 Special Guest – Joan Shenton! Sacrificial Virgins is a series in three parts written and narrated by Joan Shenton and directed by Andi Reiss. Sacrificial Virgins – so named because the HPV vaccine is often given to girls before they become sexually active – will expose controversial evidence to the world in the hope of avoiding a global tragedy similar to the one left in the wake of Thalidomide use. 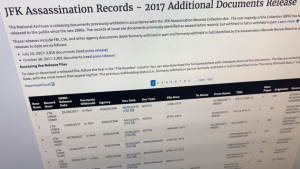 Hour 2 – JFK Files Are Released – What Do We Know Now? Most Shocking Revelations from Newly Released JFK Files Nearly 3,000 secret government files related to John F. Kennedy’s 1963 assassination have been made public more than 50 years after the beloved president was gunned down as he and his motorcade rode through Texas’ Dealey Plaza. Now, the public is getting an up-close look at authorities’ struggle to make sense of the death and determine Lee Harvey Oswald‘s motive for shooting the politician. The document dump also gives the curious a chance to search for clues that would eitherbolster or debunk numerous conspiracy theories — although President Trump did hold back some files, citing security concerns. Hi Robert, I was hoping you could help out a friend of mine in Australia who has UVitis. Her eyes have deteriorated quite badly. She is in her 30’s. Her Dr had her on oral steroids which played havoc with her body and general wellbeing, and the last tests showed that they haven’t worked anyway. While she was on steroids she went about healing her gut with pre and probiotics, bone broth etc. her eyes are getting worse and her Dr injected steroids directly into one of her eyes last week. She is at breaking point. Do you have any suggestions for her recovery? Thanking you in advance. The soothing effect of cucumber is well known. Along with soothing the tired eye muscles, cucumber rejuvenates and revitalizes the functioning of the circulatory system. Once the dry feeling goes away, you will feel fresh for sure. Milk contains various enzymes that are known to soothe and relax the eye muscles. Dip a clean cotton swab in a little cold milk. Place it on your closed eye lids and relax for 10 minutes. You can even add a few drops of rose water with milk to accelerate the benefits. A natural anti-inflammatory and cooling herb, chamomile tea has the power to restore the lost moisture while easing tired eyes. Add 1 tsp dried chamomile to 200 ml boiling water and steep for about 10 minutes. Strain and refrigerate the liquid in a clean container until cool. Dip clean cotton balls in the chilled tea and place them on the closed eyes. Relax for 15 minutes. You can re-dip the balls once they lose the moisture. Repeat the process until you feel rejuvenated. Many of us known that fennel seeds are ideal home remedies for digestive disorders, but what we do not know is that they are wonderful natural remedies for dry eyes, sores too. Steep 1 tsp of dried fennel seeds in 200 ml of water for 15 minutes. Strain it and allow it to come to room temperature. Dip cotton cloth in the warm tea and place on the eye lids for 15 minutes to see immediate results. Flax seeds are rich sources of the essential fatty acid, Omega 3. A daily intake of 2,000 mg of this nutrient is known to ease dry eyes by 85%. 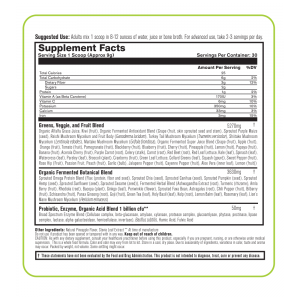 Check for the most suitable form of this supplement. A word of caution here – if you are pregnant or lactating, please check with your doctor before using this supplement. The soothing properties of aloe, along with its antiseptic and anti-inflammatory properties, help in easing the symptoms of dry eyes. Apply pure aloe gel on the eye lids daily for about 10 days to feel the difference. You can even include aloe juice in your daily diet. But do make sure that the aloe does not come into direct contact with the eye. According to studies conducted by the International Bee Research Association, this golden viscous liquid is known to work better than artificial tears to treat dry eyes. Mix 1 tsp of honey with 1 tsp clean, pure water and use it as an homemade eye drop. Add 2 drops into each eye, thrice a day until the dryness goes away. You can also use a mixture of 1 tsp honey in 1 tbsp warm water as an eye rinse. You can even add a few drops of undiluted honey to the eyes. Even though it burns a little, you will start experiencing the results within 10 minutes. My grandma used to add castor oil when she prepared Kajal at home. As a kid, I was really intrigued by the presence of this liquid in the Kajal. Now, I know! Research suggest that application of castor oil around the eyes and on the eye lids actually helps in restoring and retaining the moisture levels, preventing dry eyes. 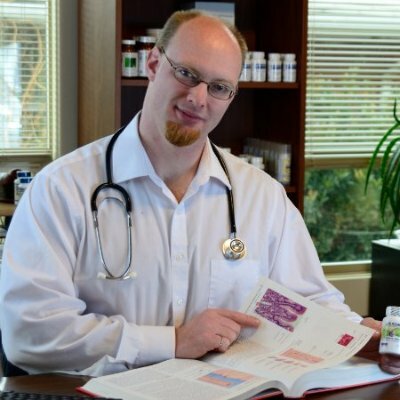 Homeopathic opthamologist, doctor Ed Kondrot, M.D. discusses the first article written about using homeopathy for cataracts. It was published in 1891 by A. B. Norton. The study examined 295 cataract patients, of which 100 were treated with homeopathic medicine for more than a three-month period. Improvement was found in in 58 percent of the participants. 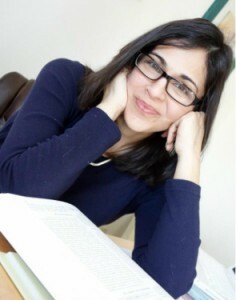 Kondrot briefly describes the three homeopathic remedies used in the study. Calcarea phosphoricum is indicated when there are headaches and eye pains especially in and around the right eye. Patients may also feel a sensation of stiffness around the eyes. Sepia may be indicated if the patient complains of the sensation of weakness in the eyes and the symptoms worsen as evening approaches. The eyelids may twitch and there may be sharp pains. People needing Sepia may feel better during daytime hours and when eating. Causticum may be indicated for patients experiencing a feeling of grittiness or sand in the eyes. The eyelids may feel heavy and the eyes feel better when closed. Patients may report feeling pressure in the eyes, burning and itching, as well as having light sensitivity and seeing flashes of light. Doc Nuzum breaks down the amazing information behind OrganiGreens and why it is something that Super Don is now making a part of his daily routine! 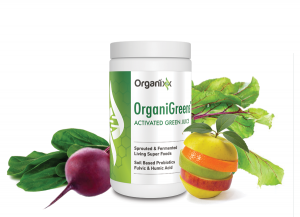 OrganiGreens is a revolutionary new green drink that is in a class of its own. Packed with 71 fruits, vegetables, mushrooms, herbs and spices, OrganiGreens is far ahead of the pack in not only ingredient quantity, but also in nutritional value. Here are the 4 main pillars that your green drink MUST have, or you won’t be getting ALL the nutrition your body needs to thrive. To truly get the power of juicing into your green drink, it has to be FULL of ingredients – OrganiGreens is PACKED with over 71 ingredients from every single nutrition category your body needs! This is a no brainer – if you’re going to be taking a green drink every single day (or more!) you don’t want to have to hold your nose every single time. If it doesn’t taste great (like OrganiGreens does with its mildly sweet fruity flavor!) you’ll eventually quit taking it and lose all the benefits! You don’t want ground up grassy pulp in your green drink. Most if not all other greens supplements just dry out their ingredients and then grind them up into a powder. OrganiGreens is made from advanced technology that actually JUICES the ingredients before freeze drying them, thereby keeping ALL the vital nutrients intact. Remember in every scoop of OrganiGreens you’re getting ALL 5 nutrition boosting ingredients – Fruit (good), Vegetables – including greens (better), Herbs (extraordinary) and the often overlooked Spices (downright amazing). Enjoy the incredible health benefits you’re missing out on with your current green drink by placing your order for OrganiGreens right now! With it’s unique blend of 71 fruits, vegetables, mushrooms, herbs and spices – plus the addition of fulvic and humic acid for increased bio-availability OrganiGreens is truly in a category all by itself. Looking For A Gift For The Person Who Has Everything? $130 ramen fork cancels out loud slurping sounds A Japanese instant noodle company has created a noise-canceling ramen fork that covers up loud slurping sounds. 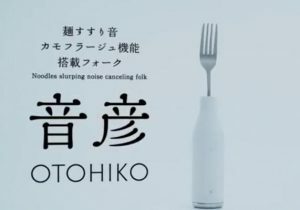 Nissin, makers of the popular instant noodle Cup Noodle, shared a promotional video introducing the Otohiko, a special fork meant to ease cultural tensions by drowning out the slurping sounds Japanese natives often make while eating ramen. “Otohiko provides a magnificent solution for ‘Noodle Slurping Noise’ – the cultural friction between the people who enjoy slurping noodles and the people who feels the noise uncomfortable,” the company said. A microphone embedded inside the large, white fork detects the sound of slurping, prompting the user’s smartphone to play a sound effect using near-field communication. November 3rd, 2017, 5:30-10pm EDT DOCTORS WHO ROCK AWARDS Black Tie Gala. Come party with a purpose and the movers, shakers & rockstars of health wellness. RSB, Ty Bollinger and more will be honored!